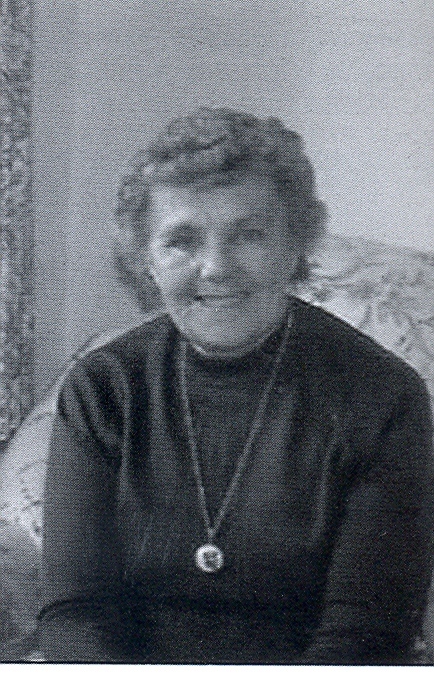 Mrs Connie Rees MBE, a New Town "Pioneer"
Sixty-five years ago this month, on Monday 11th November 1951, the small North Hertfordshire town of Stevenage, which can trace its beginning to Roman times, became Britain’s first New Town, cynically renamed Silkingrad by its opponents! It was only 18 months after the end of the Second World War when the newly elected Labour government enacted some far-sighted legislation, including the New Towns Act of 1946 in which Stevenage and several other towns within a thirty mile radius of London were to be designated New Towns. 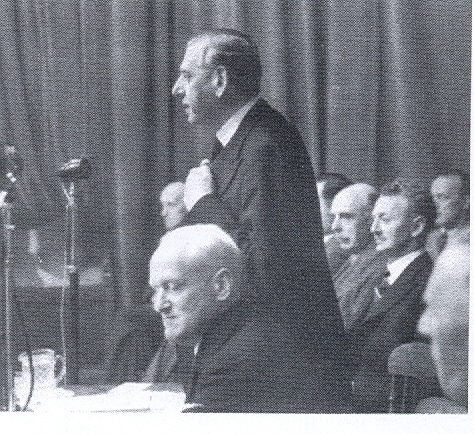 The man who guided the New Town Bill through Parliament was MP Lewis Silkin, Minister of Town and Country Planning. There is no doubt that the New Towns Act was one of the most significant-ever pieces of peace time legislation — a bold, daring imaginative experiment in social planning — one that would provide city people with a new way of life, and on which the eyes of the developed world would come to focus. The rented housing would be allocated to families on over-long waiting lists in selected war-damaged North London boroughs, providing the husband obtained employment with a Stevenage firm that could nominate him to the Corporation for housing. With encouragement from the relevant government department that controlled the issue of Industrial Development Certificates, companies made the move from London and elsewhere to Stevenage. Among them were Bowaters, de Havilland, English Electric, ICI, ICL, Kodak and Mentmore (makers of Platignum pens). The designation of Stevenage as a New Town was not without its opponents. Local farmers and property owners were none too pleased with the proposals for the compulsory purchase of some of their land and formed the Stevenage Residents Protection Association. The fight they put up delayed the building of the proposed new areas for many months and appeals were heard in the Court of Appeal and the House of Lords. 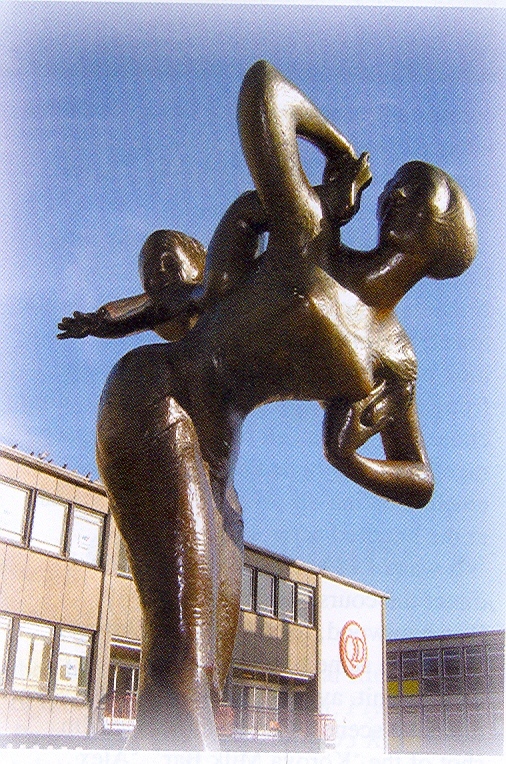 In the Second World War Stevenage had gained a reputation as a place where evacuees and refugees — adults as well as children — from bomb blasted London were welcomed into townspeople’s homes for the duration. However, the Government’s planned arrival of so many newcomers who would be staying permanently was a different proposition altogether. Some local farm owners were to lose their homes and in a few cases their livelihoods as a result. The Board of the all-powerful Development Corporation, which was viewed as a cuckoo in the Stevenage nest, met behind closed doors and did not need to consult the townspeople as when it submitted its plans for approval through the minister of Town and Country Planning it was only answerable to Parliament. Its power grew as the power of the locally elected Stevenage Urban District Council seemed to shrink and the latter soon found itself virtually relegated to the role of rate and refuse collector. None the less, in spite of the opposition the first new residents moved into their new homes in Stevenage in 1951. As a government quango the Development Corporation may have been an unelected body but there is no denying that it was highly efficient and well motivated organisation. It did an excellent job ably assisted by the “immigrants” arriving from London. In long established towns, community leaders and local councillors have tended to be local business and professional people but in the early days of the New Town there were very few business and professional people amongst the newcomers. The first tenants of Corporation-built rented houses were the building workers who had constructed them and blue collar workers employed in the first new industries. The new community had to find leaders from amongst its own ranks. The leaders who emerged from the 1950’s were of a remarkably high calibre. Had they not come to Stevenage it is doubtful whether they would have been able to use their abilities and talents with the same high level of success. These enterprising building operatives, factory workers and housewives all pulled together to create a town that could respond to local people’s needs and which had an enduring community spirit. Four of those early pioneers who still live in the town were Mrs Hilda Lawrence (from Leytonstone) Mrs Connie Rees MBE (from Hackney) and Fred and Vi Udell (from Dagenham). This page was added on 04/12/2011. Yes and we The Bristow family came too from Stoke Newington. Dad Jim passed away 9 years ago, he laid gas pipes for the new houses but in later life was a council gardener, and winner of Stevenage in bloom.